Oooooooh! 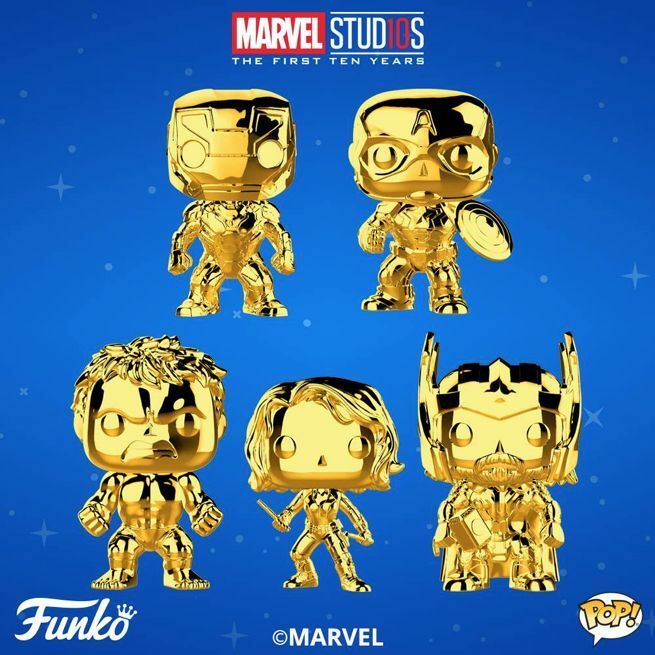 Marvel fans and collectors need to jump all over the series of gold chrome Pop figures that Funko just announced to commemorate the first ten years of the Marvel Cinematic Universe. Like right now. 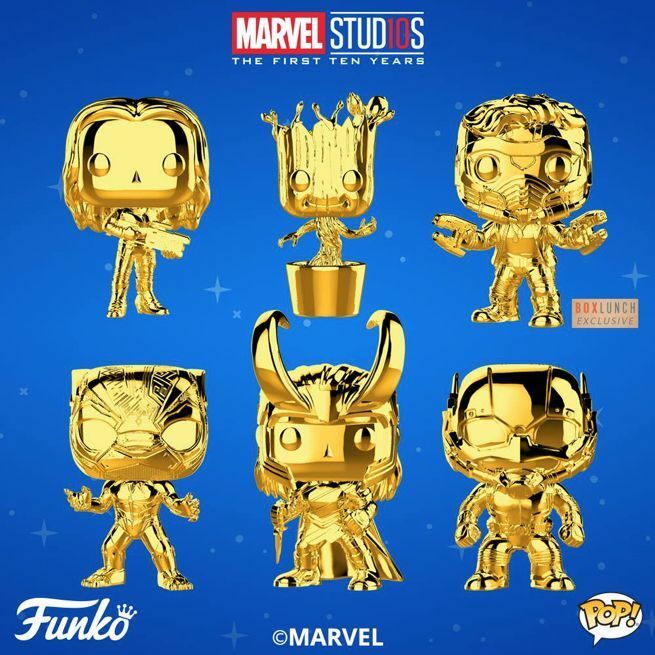 The very first wave of shiny gold Pop figure Marvel heroes in the Marvel Studios 10th anniversary lineup are available to pre-order here with shipping slated for September. The lineup includes Iron Man, Loki, Dancing Groot, Captain America, Black Widow, Hulk, Thor, Gamora, Black Panther, and Ant-Man. Look for a Star-Lord exclusive to hit Box Lunch in the August / September timeframe. Again, these Pop figures are going to be super popular, so don’t wait too long to get your order in if you want to guarantee that yours arrives in the first batch. However, these Pop figures aren't the only collectibles in Marvel Studios The First Ten years lineup. Hasbro has also released a series of figures that are basically a history of the MCU in action figure form. 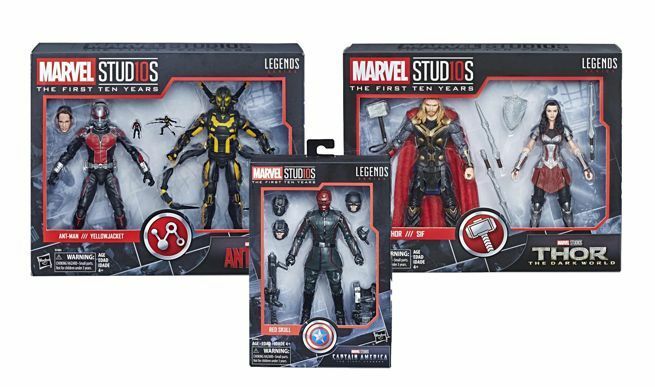 Let’s start with the Marvel Legends Ant-Man and Yellowjacket 2-pack, which is based on the original 2015 Ant-Man film. It’s available to pre-order here for $49.99 with shipping slated for August. Accessories include a Scott Lang head and mini Ant-Man and Yellowjacket figures. Next up is the Marvel Legends Thor and Sif 2-pack based on their appearance in the 2013 film Thor: The Dark World. That set is available to pre-order here for $49.99 with shipping slated for August. Accessories include a hammer, sword, spear, and shield. The Marvel Legends Red Skull figure based on his appearance in the 2011 film Captain America: The First Avenger rounds out the list. It can be pre-ordered here for $24.99 with shipping slated for August. Accessories include three Hydra soldier heads, alternate hand, weapon, and harness. 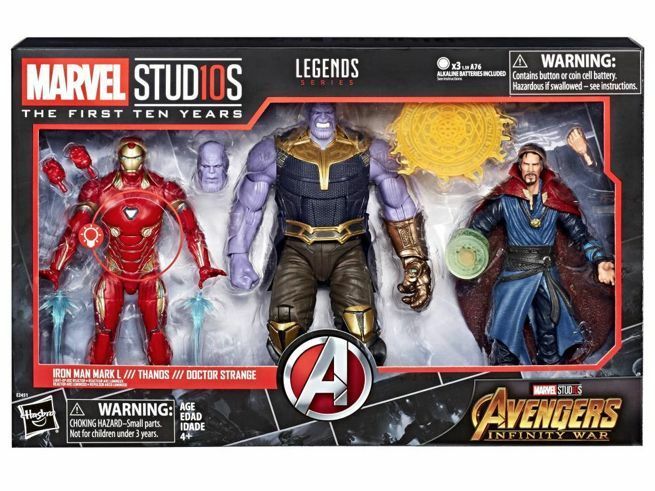 However, the hottest collectible in the Marvel Studios The First Ten Years Legends Series lineup is the Avengers: Infinity War 3-Pack. It features Thanos, Iron Man (with light-up arc reactor), and Doctor Strange! "Relive the battle with the Marvel Legends Cinematic Universe 10th Anniversary Avengers: Infinity War 6-Inch Action Figure 3-Pack! For ten years, the Marvel Cinematic Universe has been bringing the mightiest and most beloved characters to life on the big screen. In commemoration of this incredible cinematic collection of the world's greatest super heroes and super villains, Hasbro has partnered with Marvel Studios to create the Marvel Studios: The First Ten Years line for Marvel Legends, including premium figures from across the MCU's most patriotic, mystical, Hulk-busting, and dance-worthy blockbuster hits. Collect Marvel Studios: The First Ten Years Marvel Legends figures to build the ultimate MCU collection! (Each sold separately. Subject to availability.) Imagine the intense moments of battle from Avengers: Infinity War with these 6-inch-scale Iron Man (with light-up arc reactor), Doctor Strange, and Thanos figures, featuring premium articulation and highly detailed design inspired by the 2018 movie, Avengers: Infinity War." If you're interested in collecting the rest of The First Ten Years Marvel Legends figure lineup, let's start with the Marvel Legends MCU Captain America and Crossbones 6-inch Action Figure 2-Pack, which depicts the characters as they appeared in Captain America: Civil War. The movie Crossbones figure is a first as far as we know, and the Captain America figure has a fantastic likeness of Chris Evans, which is also a first for the Marvel Legends line. You can pre-order it here with shipping slated for August. Next up is the Marvel Legends MCU Iron Man 6-Inch Action Figure, which depicts Iron Man Mark VII as he appeared in The Avengers. Like the Captain America and Crossbones figures before it, the Iron Man figure has loads of articulation and detailing. You can pre-order it here with shipping slated for August. 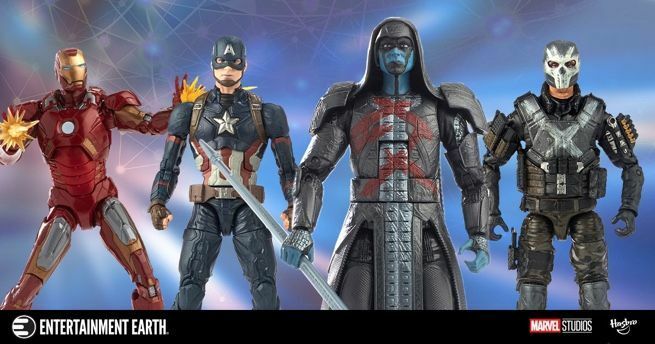 Finally, we have the Marvel Legends MCU Ronan the Accuser 6-Inch Action Figure, which depicts the character as he appeared in Guardians of the Galaxy. You can pre-order it here with shipping slated for August.